Safety, safety, safety. Since 1998, Affordable Home Care has been providing exceptional home care services to individuals living with Parkinson’s. We especially understand the challenges in mobility, and the risks a person with Parkinson’s faces just navigating around their own home. 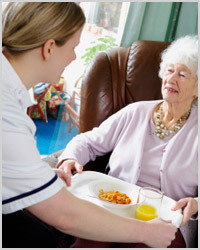 Our experienced CNA’s and caregivers provide stand by assistance and hands on assistance with compassion and security keeping you independent and safe at home. Our innovative on-going, RN managed employee training programs certify our caregivers in multiple chronic conditions and illnesses that impact a majority of our senior population. Our specialty courses and Registered Nurse directives are proprietary to Affordable Home Care, which means that you can’t find the same personalized RN managed care anywhere else. There are many needs for someone living with Parkinson’s, and Affordable Home Care will provide you with exceptional CNA’s and caregivers to assist with all of those needs.